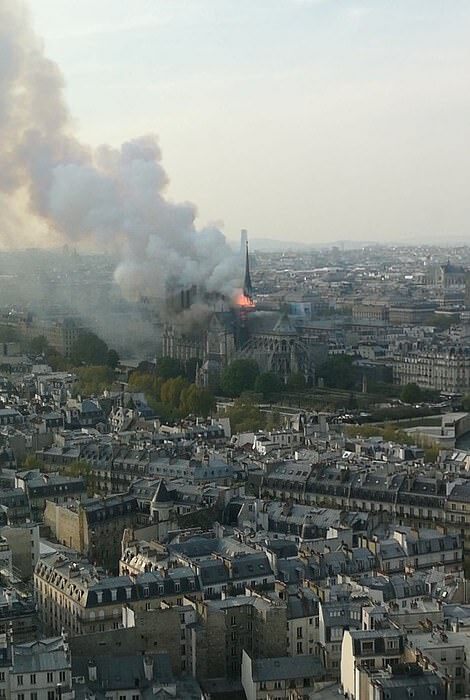 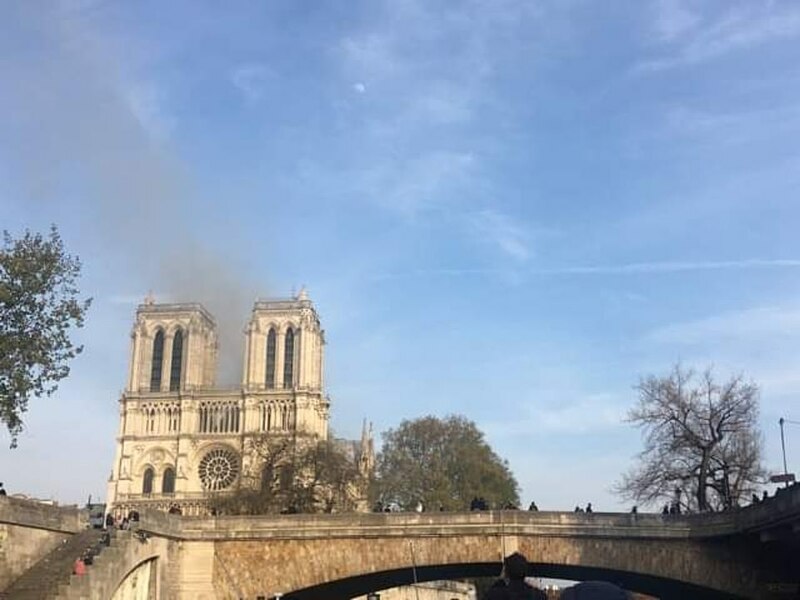 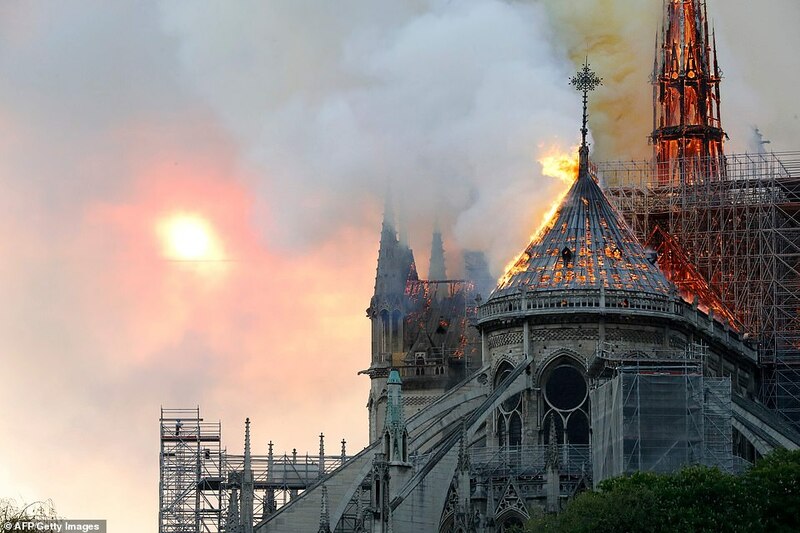 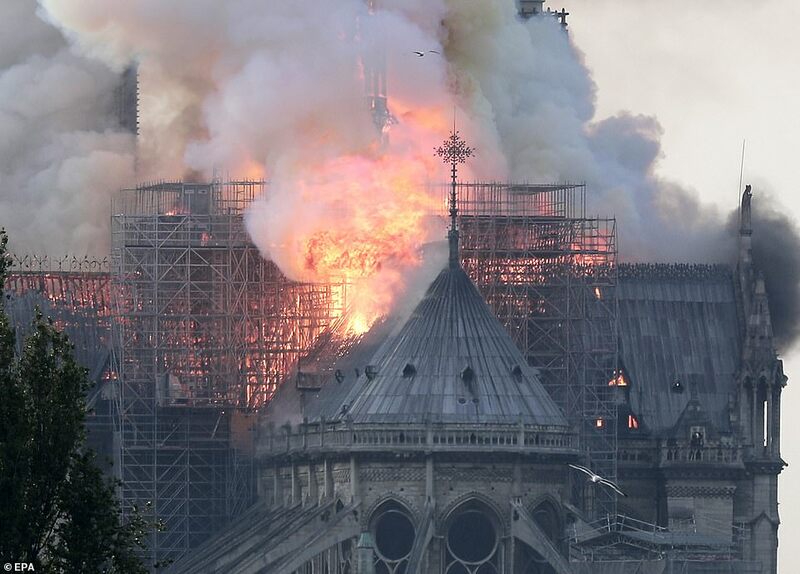 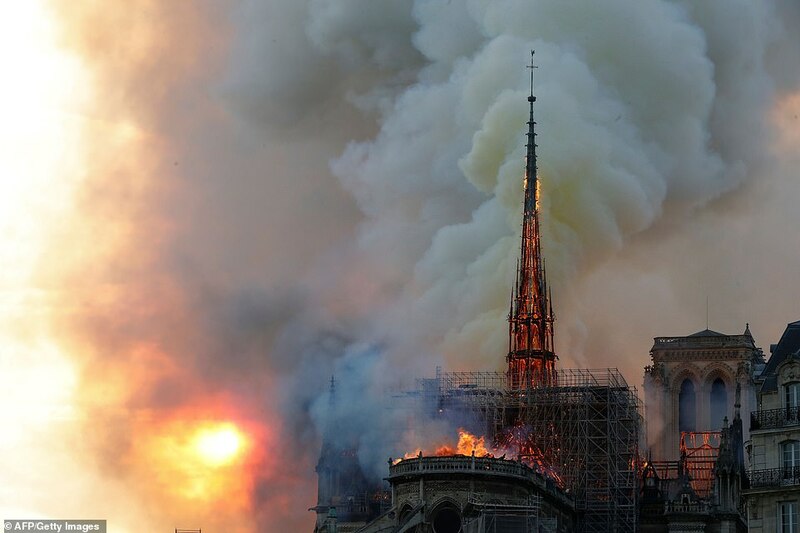 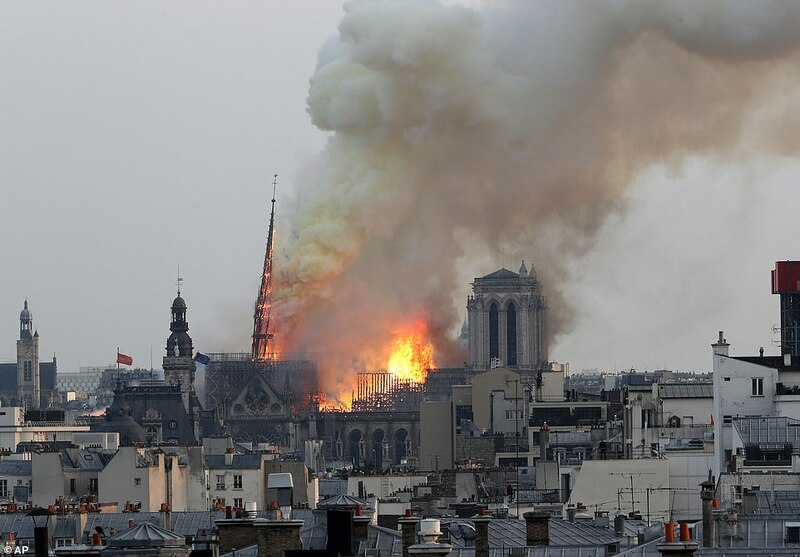 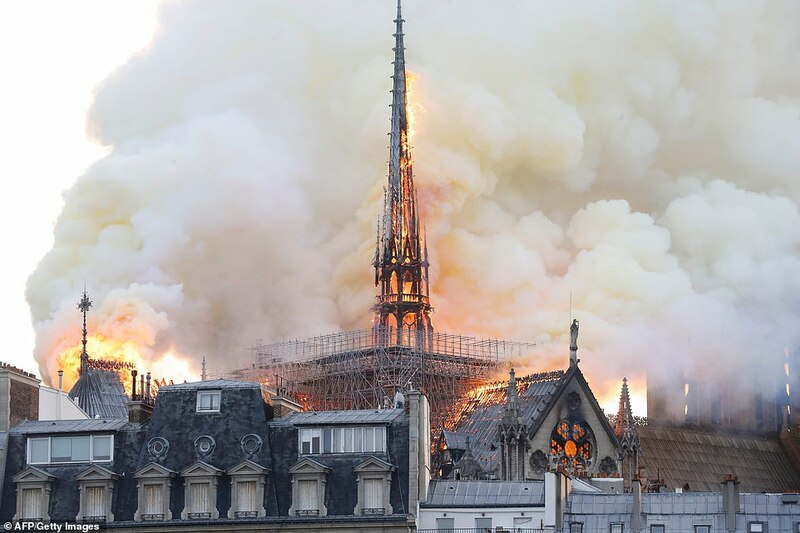 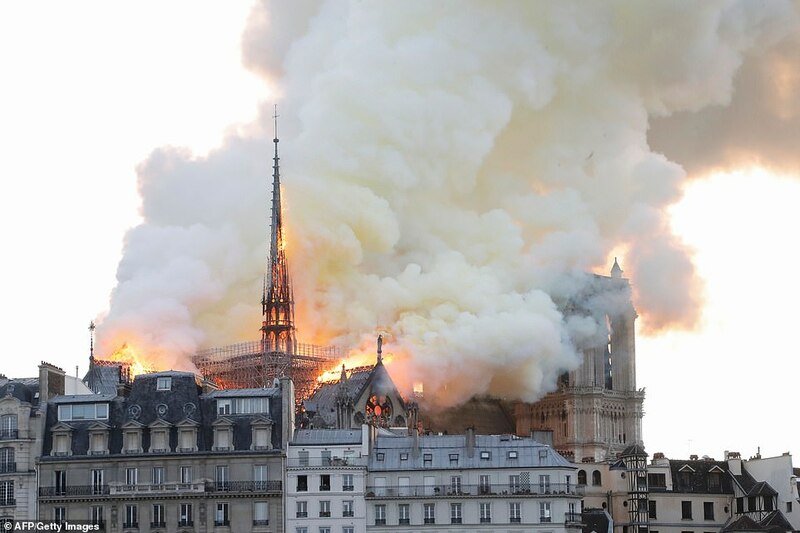 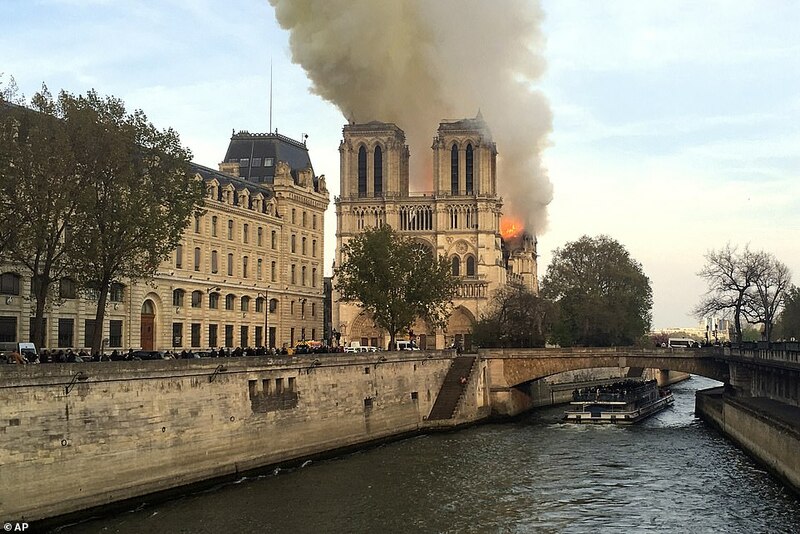 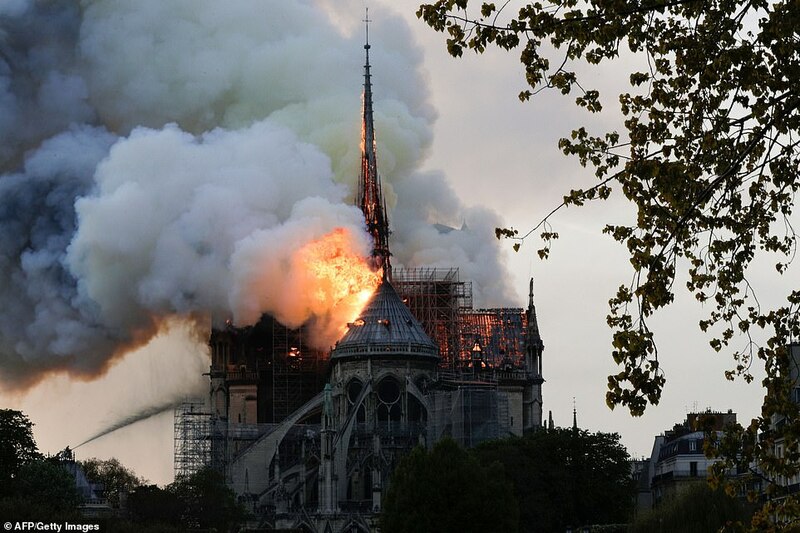 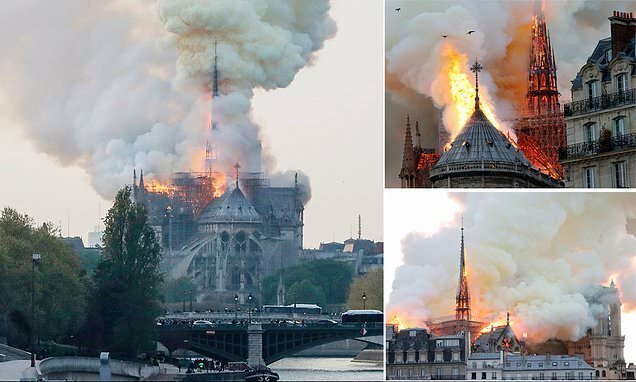 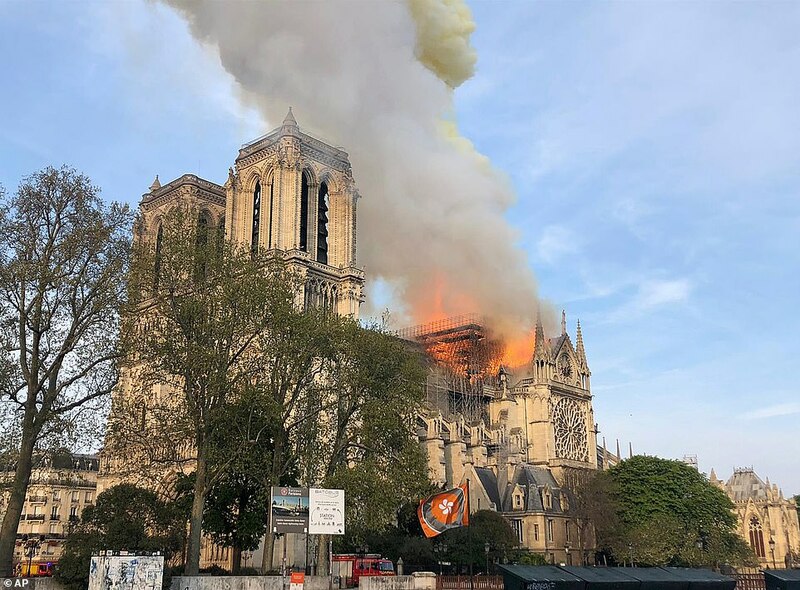 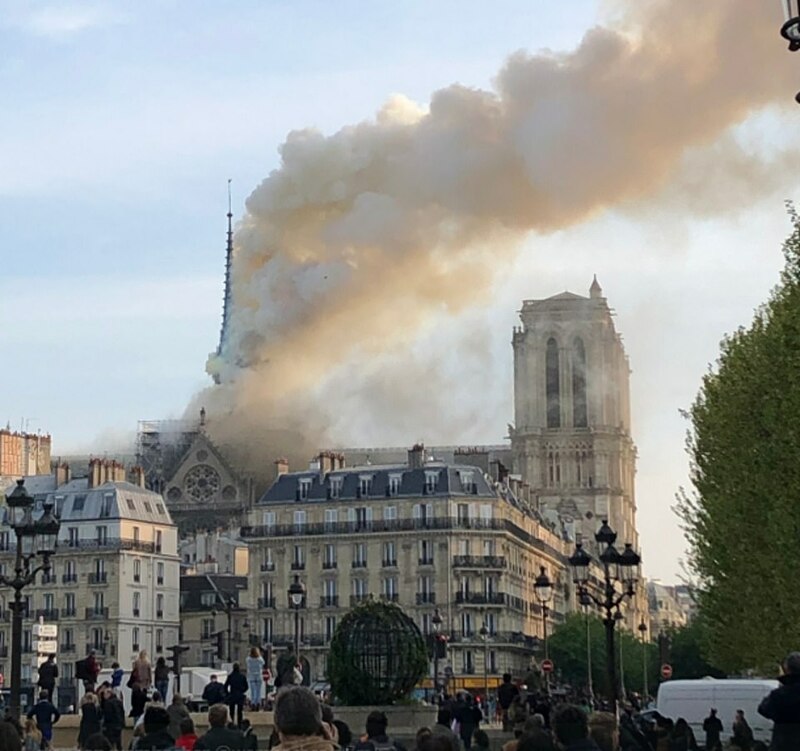 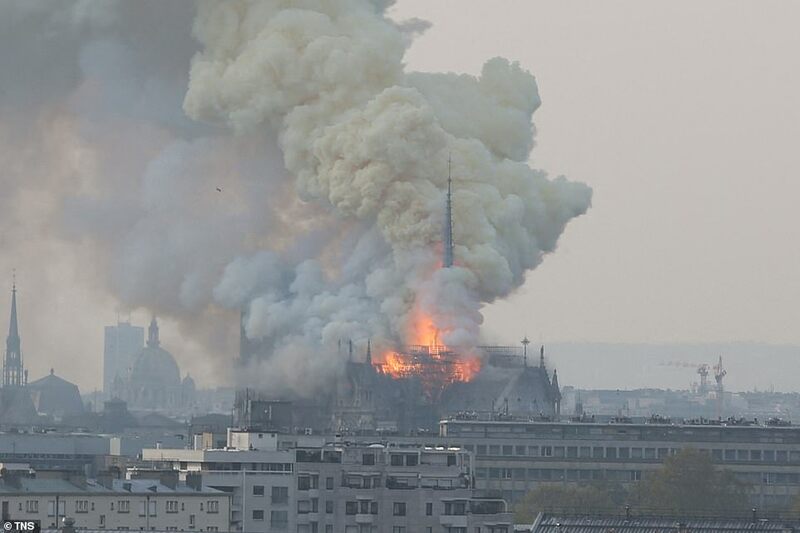 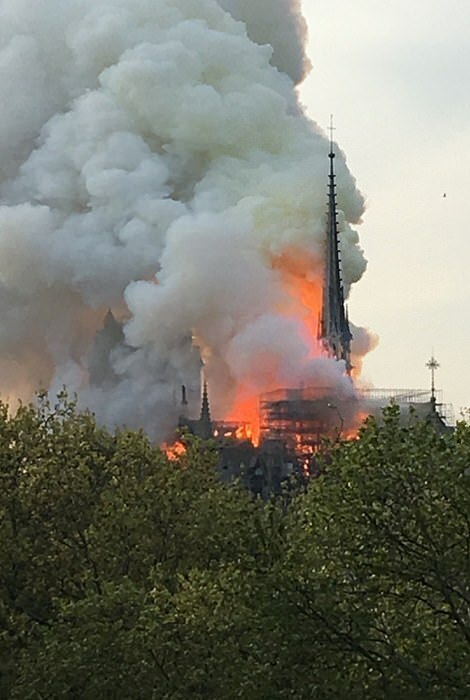 The spire of Paris’s famous Notre Dame cathedral has collapsed after a massive blaze broke out at the cathedral this evening. 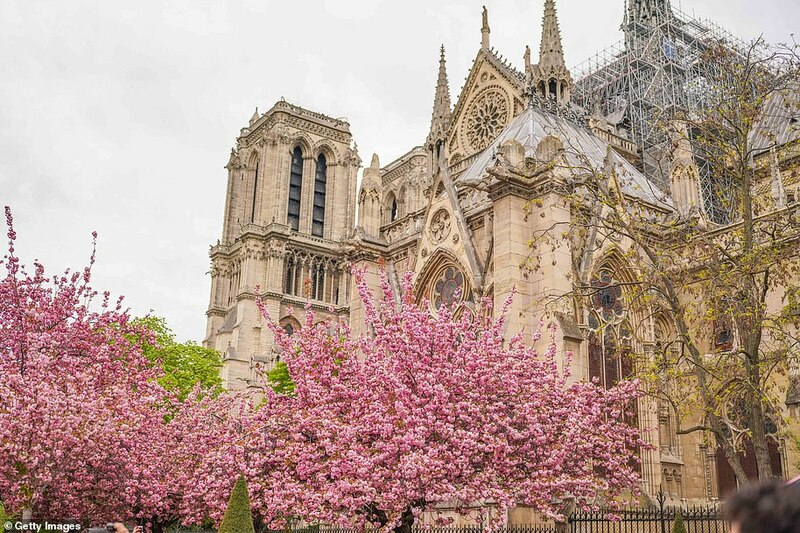 The Catholic cathedral, whose title translates to ‘Our Lady’, is Paris’s most-visited monument and sees 12million visitors every year. 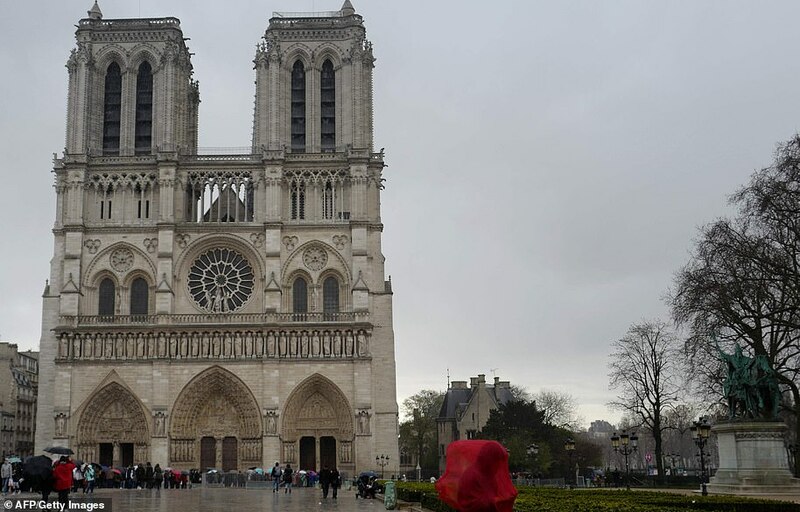 It is the cathedral of the Archdiocese of Paris and contains the cathedra (bishop’s throne) – a symbol of the bishop’s teaching authority in the Catholic Church. 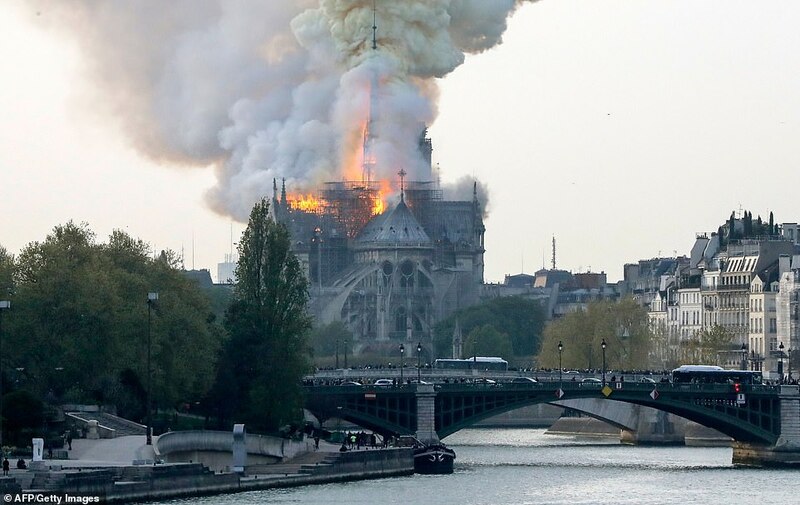 The north tower, which visitors can climb up, has a stairway of 387 steps that allow tourists to look over a see a collection of paintings and sculptures created throughout the ages of the cathedral’s existence. 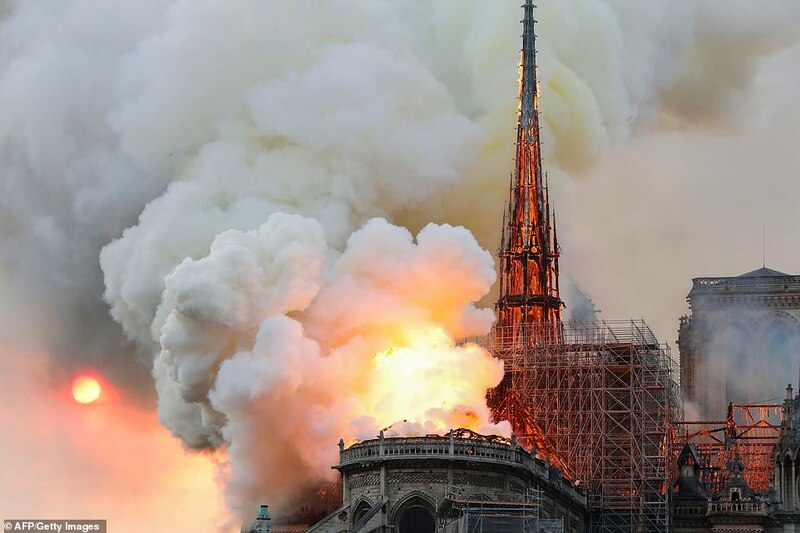 In 1793 the cathedral was rededicated to the Cult of Reason and the Cult of Supreme Being – atheistic alternatives to Catholicism during the revolution. 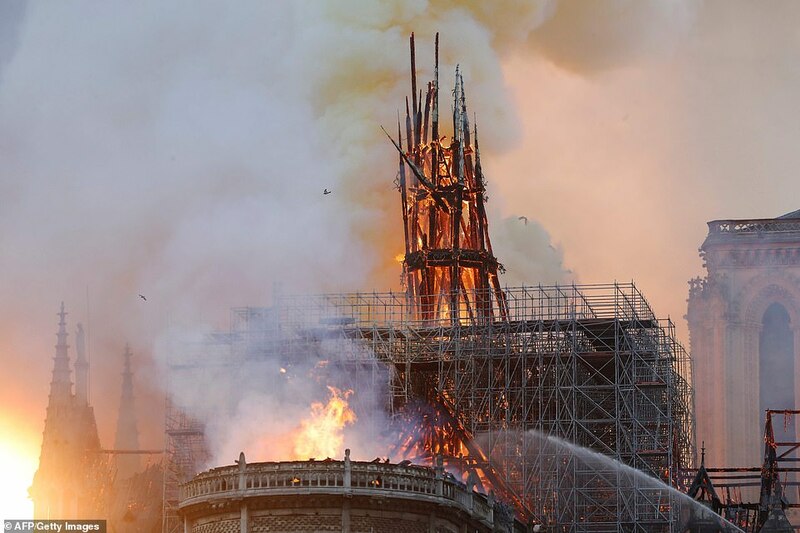 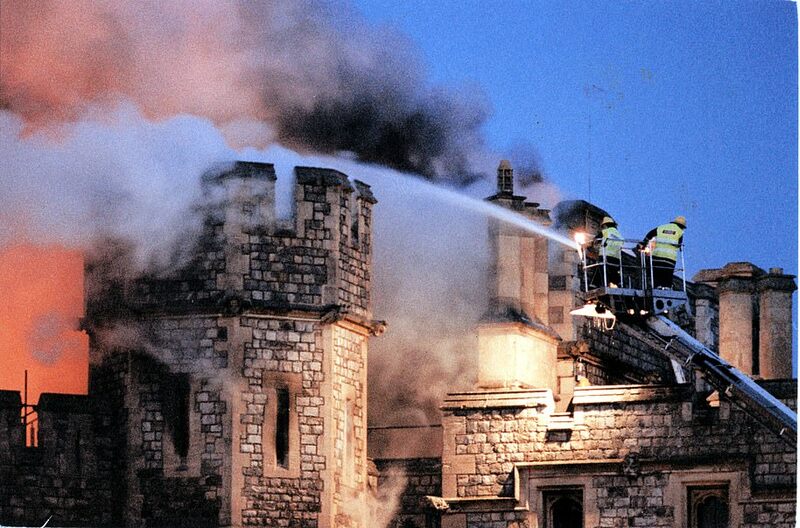 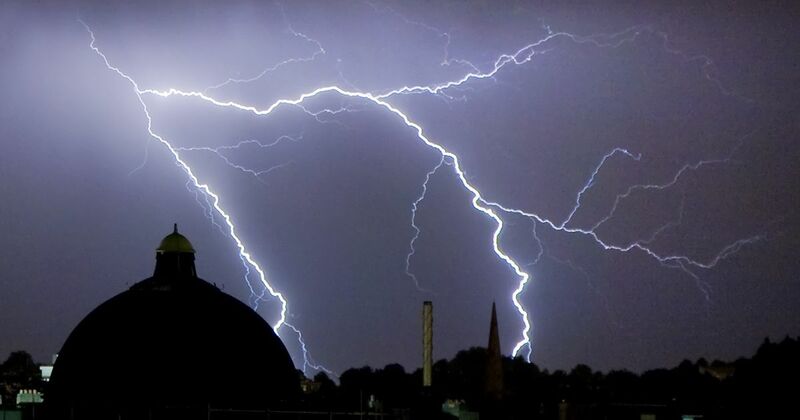 Twenty-eight statues of biblical kings were destroyed and all other large statues on the facade – apart from one of the Virgin Mary – were destroyed. 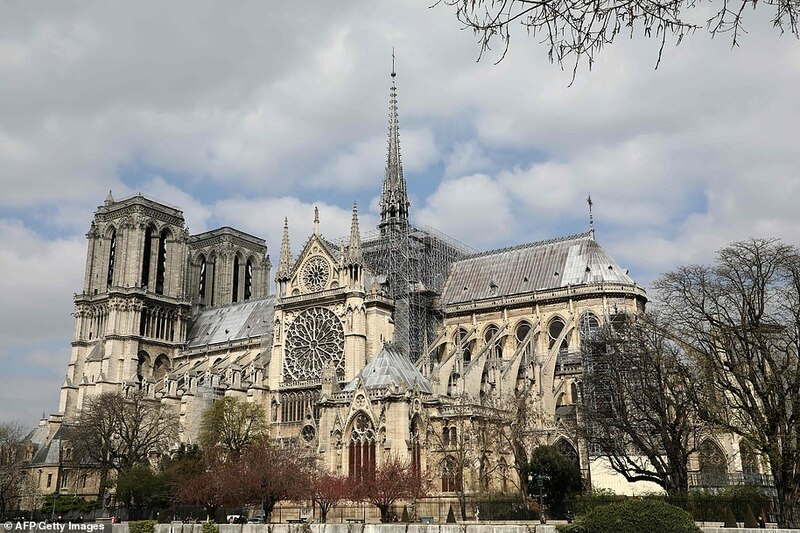 The three stained glass rose windows are the most famous features of the cathedral. 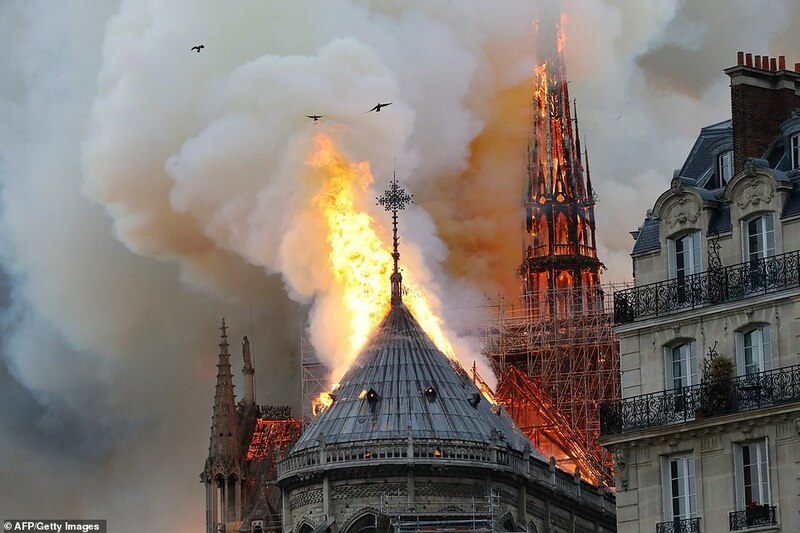 The three roses were created between 1225 and 1270.